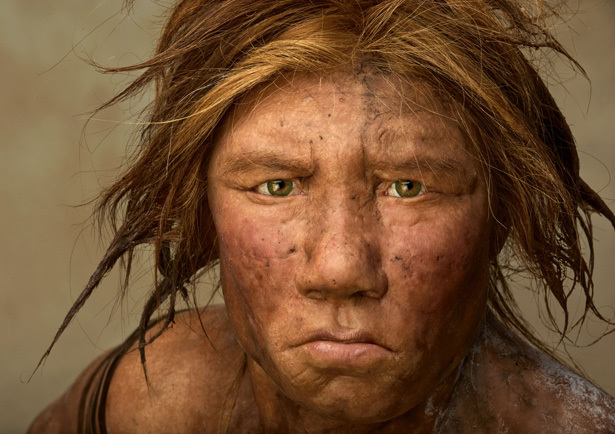 I was fascinated by the very detailed presentation of human (Homo sapiens) and neanderthal (Homo neanderthalensis) evolution by Cara Wall-Scheffler (Seattle Pacific University). Neanderthals used tools, buried their dead, and took care of their sick and elderly. They had similar physical features to humans, may have had the capacity for language, made jewellery (a little), and there’s at least some preliminary evidence now that human and neanderthal populations interbred. For some these might be the ‘Nephilim’ of the Bible. I missed the discussion panel after the talk but I’m told that Simon Conway Morris (author of ‘Life’s Solution’ – about convergence in evolution) said that if humans died out, neanderthals would have taken our place (or something along those lines). That seems fairly uncontroversial reasoning scientifically, although I’m sure anthropologists would have some big debates about how exactly that might have played out. The question for people of faith is – are our anatomical features, and the abilities and skills that those anatomical features allow us to develop, in making us capable of being people ‘made in God’s image’? Would neanderthals have served God’s purpose equally well and, in the absence of humans, evolved the features necessary for intelligent life – or did the course of history have to go the way that it did? Next Article Serving the interests of science?